"How's your brain shaping up? All four quadrants at full capacity? In that case, why not put your brainpower to good use, and help the Professor with his Encleverment Experiment? He's looking for people just like you to enter their Avatar into his 16 exciting minigames, collect 60 available Mascots and create new challenges in his Home-made Game editor! The Trial Version gives your brain a taste of things to come, with a 3-round game show to play with your friends! 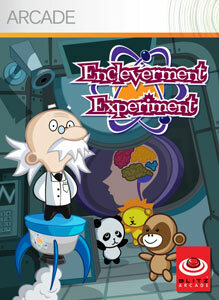 Or play against one of the Professor's brightest lab assistants and put your intellectual prowess to the test!" "Are you ready to Beat Drop? The fusion of "rhythm" and "puzzle" created a completely new kind of battle! Drop Pieces along with the beat and go for the win with our explosive chains! If you purchase the full version, you can play over 10 modes and 100 stages! Also, it has the unique "Beat-O-Matic" function where you can analyze your own songs and use them in the game! The ways you can have fun with Beat Drop is endless! Feel the rhythm of battle!" 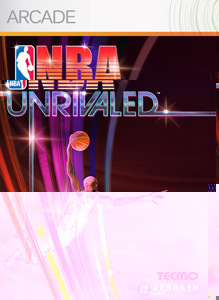 "Paying homage to the old school look and feel of the arcade classics, NBA UNRIVALED™ brings back all of the intensity and pulse pounding action—AMPLIFIED! Featuring the 2009-2010 NBA season's team and player rosters with current stats, logos and jerseys. Ball your way up to the top of the league with unthinkable slams and outrageous plays to get the crowd pumped for momentum on your side! "